The first and the last episodes of each Game of Thrones season we analysed turned out the most dangerous, accounting for the greatest number of malicious files in Kaspersky Lab’s collection. HYDERABAD: It’s sweltering heat in Telangana, yet the ‘Winter’ is upon us. 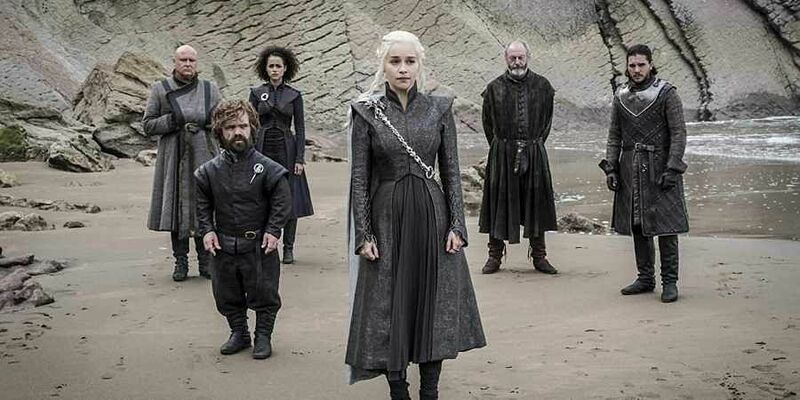 The new and final season of UK-based television series ‘Game of Thrones’ is here and the fans wait with bated breath to watch Jon Snow, the Khaleesi and the Starks line up to fight the White Walkers and their recently acquired dragon. A recent Kaspersky research, however, has thrown caution to the wind for those who download episodes illegally through torrents. The research, which aimed to find out the extent of malware in torrent websites, found that ‘Game of Thrones’ accounted for 17 per cent of all the infected pirated content in 2018. As many as 20,934 Game of Thrones viewers were attacked, despite it not releasing any new episodes in 2018. “The first and the last episodes of each Game of Thrones season we analysed turned out the most dangerous, accounting for the greatest number of malicious files in Kaspersky Lab’s collection and affecting the most users,” the research said. ‘Winter Is Coming’ – the very first episode of the show – was the one most actively used by cyber criminals. “Within two years, we detected 33 types and 505 different families of threats hiding behind the Game of Thrones title,” it added. The findings are important as Indians comprise a considerably large part of the GoT viewership base, and many resort to torrents and other illegal streaming websites to catch up on the weekly episodes. And in fact according to the latest Annual Piracy Report by Muso, Indians visited pirated websites 17 billion times in 2017 alone. Internationally, the trend saw a 1.6 per cent increase from 2016. The second place, both in 2017 and 2018, was occupied by ‘The Walking Dead’, with 18,794 users attacked; and the third by ‘Arrow’ (12,163 users). Apart from that, American Horror Story proved to be the most effective malware cover – each malicious file hidden behind the title has reached an average of three users. However, what are these malicious files? “The top three most popular threat categories were Trojan, accounting for almost one third of all threats; not-a-virus: Downloader with 21%; and not-a-virus:AdWare with 28%.” The research noted that ‘not-a-virus’, though were not malwares, interfered with a user’s session by causing pop-ups to appear. For instance, AdWare show “unsolicited ads, alter search results and collect user data to deliver targeted, contextual advertising”.